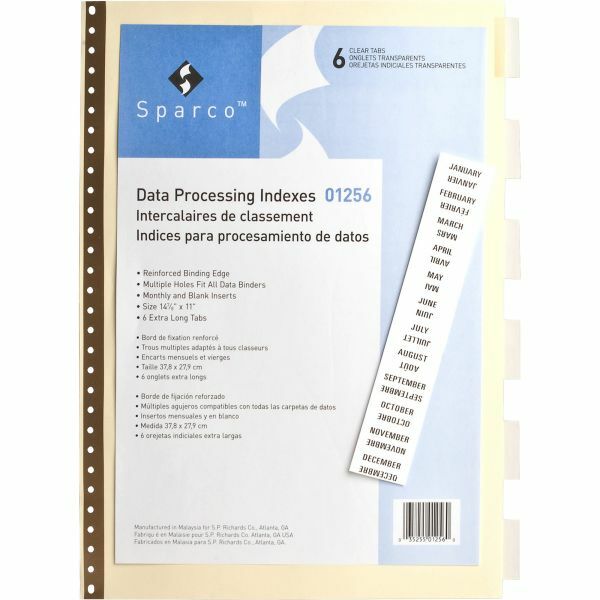 Sparco Data Indexes with Insertable Tabs - Data indexes feature gold-reinforced buff ledger paper punched with 5/32 diameter holes for 1/8" diameter posts or rings. Six insertable rip-proof tabs come per set. Insertable tabs are 1-1/2" long, 3/8" extension. 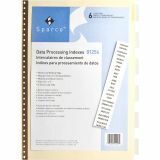 Data indexes work best in binders with unburst sheets that include five, six, seven and 11 multiple-punched holes."